Members of Georgia Southern University’s Film Club received an email Tuesday night stating that the club’s activities would be temporarily suspended while the Office of Equal Opportunity and & Title IX conduct an open investigation involving Film Club. 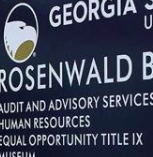 Film Club GSU President Connor Rentz said he received complaints at the beginning of this semester but was not able to give specifics on the situation surrounding the investigation or members involved. Rentz said the leadership within Film Club took action as soon as he heard of the complaints and reached out to GS. Rentz said there is not a definite time frame for when Film Club will be open again however, he hopes the investigation will encourage other organizations on campus to take complaints seriously.